In order to understand our aims in practicing martial arts you should first understand the Evolve All mindset and its values. Our goals are to create a space where personal growth is of the utmost importance. Anything that challenges, causes us to reflect, or deepens our understanding of our unique selves is encouraged. These are our best opportunities for growth. We also believe that training should be holistic: the mind should be sharpened, the spirit should be tempered, and the body should be optimized. They all work together to bring out our best. Finally, we put great value in the community of people that all work towards the same goals. It gives us a way to get feedback, encouragement and to live a happier life with more meaningful relationships. We are all teachers and we are all students… at all times. 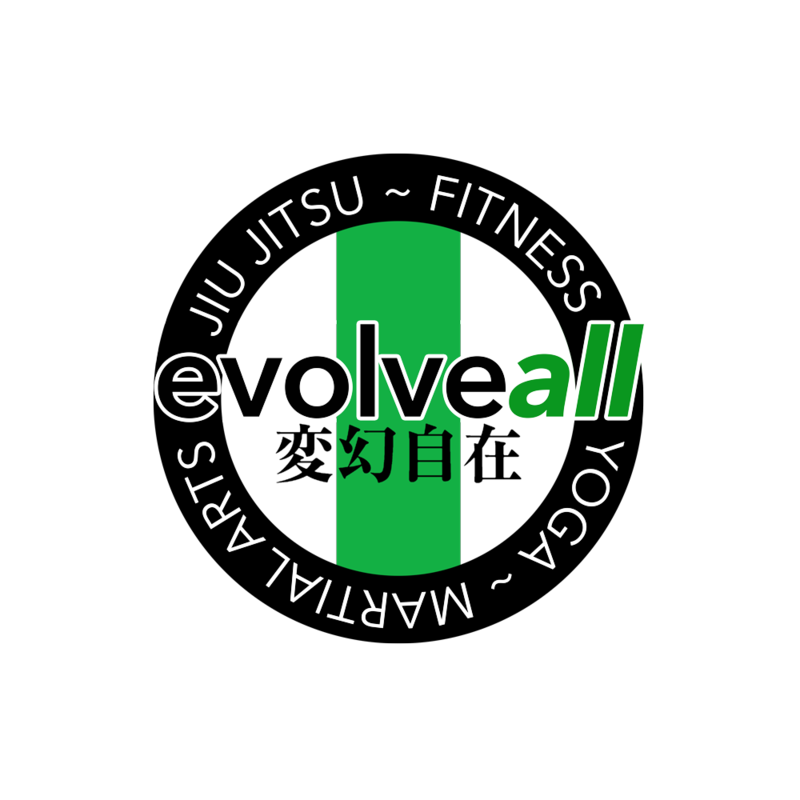 The Evolve All mindset is blanketed over all of our programs and drives the curriculum and training style, including our martial arts practice. Understanding the way we think will give a better understanding in our choices for martial arts training, and what some would call our style. We aren’t just a Tae Kwon Do school, we aren’t just a Karate school, and we don’t just teach Muay Thai or Jiu-Jitsu. We believe that in order to grow we have to be open to all that could teach us something useful. If we were to teach a single style we would set up a system that could possibly limit us and our growth. Instead we embrace the differences and take what is useful to the individual. Every martial arts practitioner is different and that is a good thing. Another very important aspect of our martial arts training and our studio, is that we are always evolving. Meaning that our “style” will always look to improve upon itself. The studio you see today will not be the same in 10 years. There will be vast improvements, refinements and adaptations to better fit the environment and the current situation. What drives our martial arts training is the ability to battle any situation including the everyday struggles that come with each and everyone of our lives. When a martial artist is confident, disciplined, focused, and has a strong sense of character, they are better equipped and able to deal with life's stressful situations. Previously our system was set up so that instructors and students were primarily focused on the correct performance of specific techniques. Therefore, there was a greater emphasis on the physical abilities of the practitioner. With the new curriculum the system is redesigned so that the primary focus is on character traits that make a great martial artist and person. For example in the previous curriculum a yellow stripe earned their first stripe by performing a jab, cross, hook punch combination. In the new curriculum they earn their first stripe when the instructor sees an outstanding effort in class, meaning they aren’t just trying, but trying their hardest. Upgraded techniques to increase effectiveness. In the previous curriculum there were many techniques that taught poor habits for a practical or real life situation. For example the “chop punch” combination had a “long stance” that would leave the practitioner off balance and unable to move quickly afterwards. This stance also had the back hand tucked into the arm pit, instead of up and protecting the head. These are considered traditional techniques and were wonderful for their time, but as a studio that prides itself on personal growth and the evolution of a person, it only makes sense to adapt. The new curriculum takes what is useful from the traditional techniques, eliminates the non essential, and adds from new found knowledge. EvolveAll has been successful not because of its amazing techniques, but because of its amazing people. This is something EvolveAll learned over time, and this curriculum upgrade is designed to celebrate this understanding. Change is always difficult to accept and understand, but is absolutely necessary for growth. We look forward to growing with you!